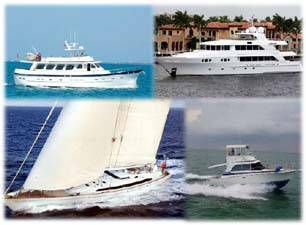 Please find below yacht and boat technical articles submitted by boat owners, yacht consultants and others for Curtis Stokes and Associates. CSA hopes you find this material useful and remember CSA services when the time comes to buy or sell a yacht. Contact Us through our many offices throughout the USA. It is key to understand that the requirement for a Ship’s Radio License and a Restricted Radiotelephone Operator’s Permit is imposed on US registry vessels by the US government (via the FCC via International Telecommunications Union treaty). It is not a requirement of any particular foreign jurisdiction. Although a different technology study from connectivity and networking, the security of data connections in a wireless network is a serious concern for users of any kind of mobile connectivity platform. This is one of the most complex and jargon-prone areas in the discussion of small, mobile platforms like the SOHO networks found on boats and RVs. I mean to keep it as simple as possible! Boaters are universally warned to be diligent about performing engine room checks to identify developing problems before they become serious. So now, truthfully, are you methodical about doing hourly checks? A long-time cruising friend recently asked: “I’ve been researching a replacement for my circa 2000 RayMarine navigation system. 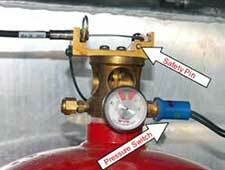 Correct design, installation, and maintenance are critical to the reliability of your fire suppression system. 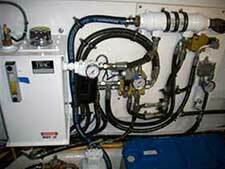 When was the last time you changed the hydraulic fluid in your stabilizer system or integrated hydraulic system? Disclaimer: Curtis Stokes and Associates does not necessarily agree or promote the content by the above authors. This content is to be used only with the reader’s discretion.